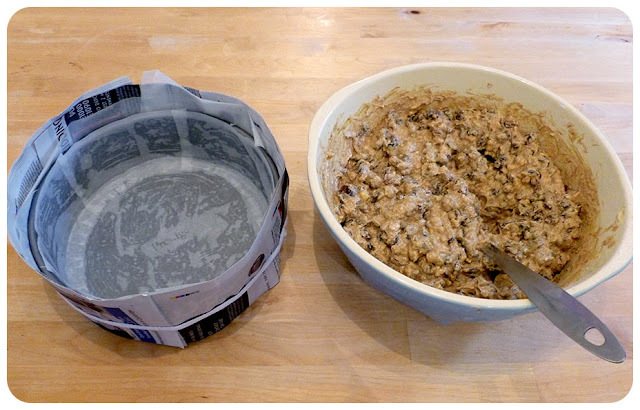 I've been baking Christmas cake for a fair few years now. This is the cake I made last year. At Christmas I love nothing more than a slab of fruitcake with a glass of sherry, and decorating the cake a few days before the festivities never fails to make me feel jolly. I love this recipe for Sherry and Almond cake on BBC Good Food. Naturally, I've made a few changes to the recipe to suit my preferences. It makes a deliciously moist and nutty cake. 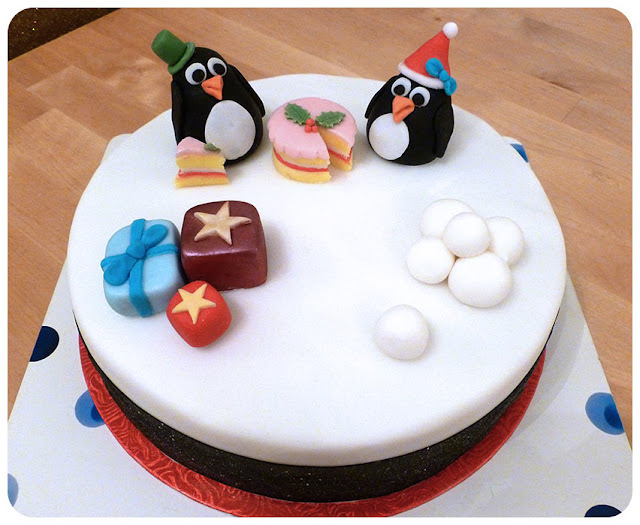 Recently a few people have told me they thought Christmas cake was difficult to make - it's really not! It does require some preparation and a little drink every couple of weeks, but the effort is really worth it! To inspire you to make your own, I thought I'd share my tips for fruitcake success! Many recipes call for mixed dried fruit. The problem I have with mixed fruit is that is contains yucky mixed peel, of which I am most definitely not a fan - I find it tough and bitter. To avoid it I buy separate packets of raisins, sultanas and currants. Other dried fruit works well, such as cranberries and cherries. I have to say I think the separately packaged fruit is of a better quality than the mixed, but that may just be me. 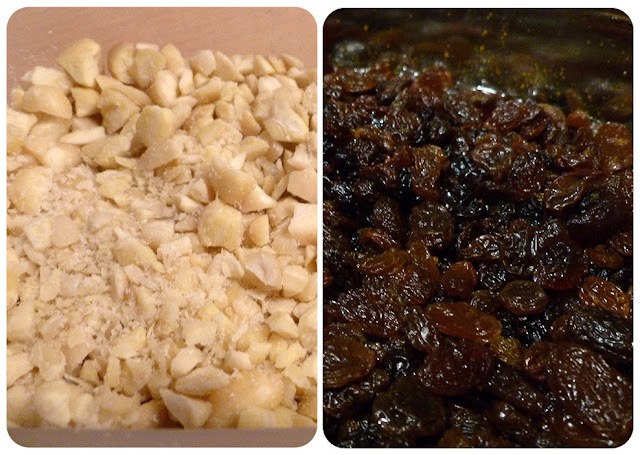 Measure your dried fruit out at least a day before you are going to bake, and soak it overnight. The recipe below uses sherry (a deliciously thick and syrupy one - yum! ), but you could use brandy, whiskey, rum, or if you'd prefer to skip on the alcohol, orange juice or even black tea. The important thing is that you give the fruit enough time to absorb the liquid and become plump and juicy. This will help to keep your cake moist and prevent it from drying out. I like to use nuts in fruitcakes. Whole nuts are a bit too chunky for my liking, so I pop them in my mini chopper and whiz them down to size, but still leaving a few bigger pieces for a bit of crunch. If you use a recipe that requires ground nuts, I recommend buying whole ones and processing them until you have a reasonably fine texture. This is another thing that can help to keep your cake lovely and moist. The reason for this is that ready ground nuts are dried out during the manufacturing process, and as a result contain less natural oil than whole nuts. 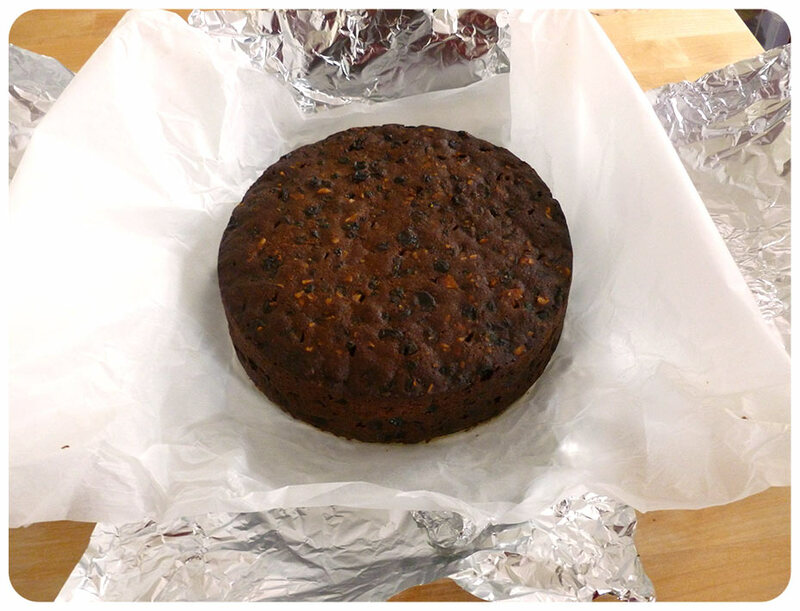 Fruitcake is baked for a number of hours and although the heat is relatively low, there's always a risk that the outside of the cake could over bake. To help prevent this, line your tin with baking paper and wrap several layers of newspaper around the outside, using bakers twine or string to tie in place. I didn't have any handy so I used a spare shoelace instead! Flip it 'n' feed it! To keep your cake in tip top condition, give it a swig of its favourite drink. Use a skewer to make a series of holes about an inch and a half apart and about a third of the way through the thickness of the cake. Carefully pour a few drops of tipple into each hole. Do this every couple of weeks, and flip your cake over each time so that you alternate between feeding the bottom and top of the cake - you don't want one half of your cake to be completely sozzled! 1. In a large bowl mix the fruit with the zest juice and sherry. Cover with a tea towel and leave to soak overnight. 2. When you're ready to bake preheat the oven to 160°C (that's 140°C fan). 3. Line a deep, 23cm round tin and wrap several layers of newspaper around the outside. 4. Beat butter and sugar until light and creamy. Add the eggs, along with the flour, ground almonds and spices. Beat again until well combined. 5. Finally, add the chopped nuts, fruit and any juices. Stir through before transferring to the prepared tin. 6. Bake for one hour. Then turn down the oven to 150°C (130°C fan) and bake for a further 2 hours, or until a skewer in the centre comes out clean. 7. When the tin has cooled enough to handle, turn the cake out onto a cooling rack. Once completely cool, wrap in baking paper and then foil. Keep in a cool place and feed with sherry every couple of weeks. Once we get a little closer to the festive season, I'll share some decorating ideas. In the meantime, I'd love to hear about any festive baking you've been doing or are planning. Have you made a Christmas cake? What did you put in it? Happy Baking! I agree with you about the separate fruit - much better and you can make your own mixture to your taste. Have you been to Daily Bread - it is where I go to get my dried fruit.